Rev. Christopher L. Johnson grew up in the First United Pentecostal Church. He serves as the Assistant Principal of Kennett Christian Academy, teacher in the PreTeen class, Missionary Liason, Multimedia Director, and on the Church Board. 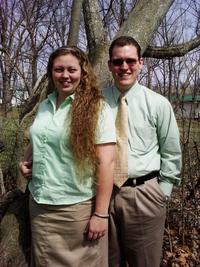 He also serves as the Sunday School Director for Section 4, a position he has held since May 2009. He and his wife Star (former youth pastor at Abundant Life UPC in Potosi, MO 1999-2005) have two sons, Jonathan and Joshua.